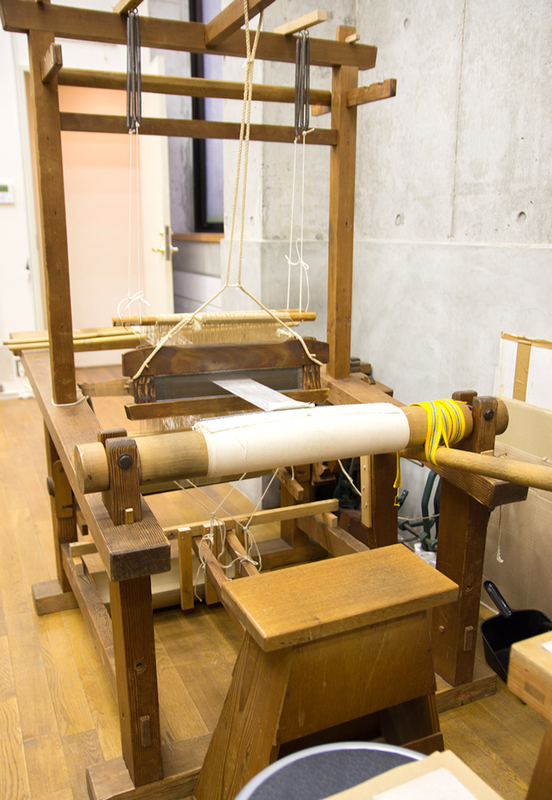 In addition to the studio tour, try your hand at actual handloom weaving. Nishiki-ori, colorful and gorgeous brocades woven on a treadle-operated handloom, were introduced to Japan from China at least 1200 years ago. Japanese character for “Nishiki” (錦) is originally made of two compounds, 金 for “gold” and 帛 for “silk” or “silk cloth”, implying that the value of Nishiki is equal to that of money. Since ancient times, the word “Nishiki” has been used in different expressions as an epithet for beautiful things, like for example 錦秋 “Nishiki autumn” used to describe the splendor of colorful landscape in the fall. Nishiki-ori represent the pinnacle of silk brocade weaving, something very rare in this world. They have always been treasured by the Japanese people and always were a great source of national pride. Enjoy this unique experience and have a closer look at the art of Nishiki weaving and the beauty of Kyoto craftsmanship. For the groups of 3 or more people, the time required for the weaving hands-on experience may differ depending on the number of participants.